About a year and a half ago I lost weight, not so much that my doctor freaked out, but enough that people noticed. Ever since then people have been asking me what I did to lose it. Here’s the short answer: I cleaned up my diet. And why did I clean up my diet? 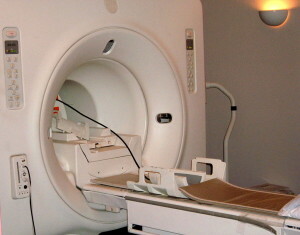 So that I would be healthy forever and never, ever, ever have to go into another MRI. My plan for eternal health fueled by kefir smoothies and homemade vegetable broth and loads of kale was not to be, which is why my doctor and I had a conversation recently which ended with promises that she could get me Ativan but I’d have to come into the hospital to get the prescription. Frankly, I was bothered by how blithe she was about drug-taking. Rewind to half my life ago, when I had my wisdom teeth out, and was prescribed codeine for pain. I took the pills as suggested the day after my surgery, and I loved it, playing computer games in a trance. As soon as I realized just how much I loved that feeling I vowed not to take any more pills, but to this day I still feel a little buzz any time I play Tetris. At 16 I knew that I should not be messing around with happy pills, and I know the same thing now. I didn’t worry about it too much because I hung up the phone from that conversation resolved to tough it out and will the winter’s pain into passing so that I would not need any more tests. It only took me a week to cry uncle, and call my doctor back describing my symptoms, hoping against hope that there would be some solution other than the ominous whir of the cot rolling itself back inside the thunderous nightmare tube. She commiserated and told me we needed to do some imaging, and I loved and hated her at the same time. We had the Ativan conversation again. Again I demurred. We scheduled the MRI. I spent about 24 hours trying not to be preoccupied with this torturous experience which was at the time still weeks away. And at the same time I felt the pull to be sophisticated about my anxiety. What a pleasant word, the way the “x” zips fashionably off one’s tongue like a code-word that’s been uttered so many times it has lost its meaning. But I’m too noble to take those trendy pills! I was nervous and virtuous and vaguely pleased by my agony. The pleasure couldn’t last. Eventually I had to face my claustrophobia and have the test done. So one evening, sitting in the car, it came to me: what if I simply decided that I wasn’t anxious? Really, now. There’s anxiety and then there’s anxiety. I do not like feeling as if I’m in a brightly lit coffin replete with a soundscape that would make Buddha tear out his hair. I really do not like this. But I can endure it. There’s so little that I can control. But in this one instance I can control my mind. And that’s what I have decided to do. So this morning I will go once more into the tube. I hope my plan of staying up really late will result in a doze that distracts me from my dislike of this procedure. Maybe it won’t. But at least I’ll have the satisfaction that in these days of powerlessness there is something, however miniscule, that I have overcome. Prayers have been said for you Margaret. Have had a couple of MRI’s done myself so I understand the noise and closeness issues. Thank you Jim! Your prayers are appreciated. Same here, Margaret. Joining my prayers and blessings. Thank you so much. Be well, Claire. The effect you experienced from codeine is often peculiar to codeine. The medical profession is moving away from this drug. The trance you felt is probably from an excessive drug effect coupled with recovery from major surgery . Ativan is a different kind of medication, different family, different mode of action, much safer than codeine. The major issue is a lack of control. You can survive the procedure. Consider the option to Reframe the situation into a pleasant setting: a hammock, a train ride, whatever. Consider the power of Prayer . What do you do before you begin a musical performance ? You are stronger than your fear.